Tangled and True: or so she says.. and an announcement. Today I'm guest posting over at "Or So She Says..." you should definitely stop over and give me your advice, I really need it because my brain is currently very busy. And here's why.. we're officially moving to Denver. This is an exciting career move for the big boy.. I am slowly wrapping my brain around this whole thing (it's all happening so fast, hence the brain being busy thing), but I would LOVE to hear all the wonderful things you have to say about Denver, the things you know, school recommendations, great neighborhoods to look into, preschools, dance studios, restaurants. Give me the works! I can't wait to hear and learn all you have to offer. Congratulations on the move! I am excited to see what people say about Denver, my husband and I are considering moving there in a year or so! I knew you would end up going :( John's Uncle lives there so I'll keep you posted on that. I don't know you but...the Highlands Ranch neighborhood is fabulous! One of my best friends lived there for a while and when I went to visit I fell in love with it. It is just ?east of Denver. Very family oriented, great schools, community etc. Good luck! Congrats on the move! My bf has applied to grad school there, so it's on the list of places we may be moving to as well! Looking forward to everyone's advice about the city! Just found your blog and coincidentally we'll be "neighbors". So...Welcome to BEAUTIFUL Colorado!! - you won't be disappointed. I'm north a bit in Fort Collins (transplanted here for 20 years) and LOVE it! Good luck with the move! You'll be in the same vicinity as Design Mom! Woo hoo. Two of my fave blogging mommies in the same area. All the best! Woo hoo. You'll be in the same vicinity as Design Mom. Two of my favourite blogging mommies in the same area. Good luck! So jealous! 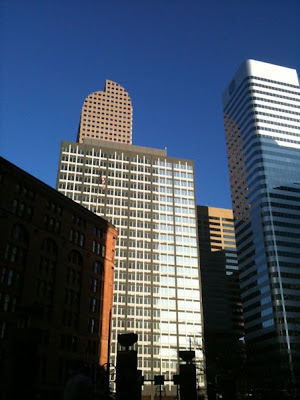 Denver is an amazing area (I grew up there and hope to return someday). It includes great activities, great schools and wonderful attractions. There is something for everyone, that is why you will have to try it all for yourself to see what matches you and your family. Lousiville (30 min away) was voted #1 place to raise a family. Brittany, another move? So exciting! A little jealous at the amazing places you guys have had a chance to live! Been trolling your blog for awhile and we're just north of Denver in Longmont. Going on 10 years here and we love it! Hey Brittany! I am from Vancouver as well, and we have lived in Denver for 2 years now. I totally miss the Northwest, but Denver has A LOT to offer. My husband and I are doing something outdoors every chance we get! Maybe we will see eachother! Been following your blog for a while now. My family and I moved to Denver almost two years ago. You will love it, I'm sure. There are such great people here. I live in Brighton (NE of the city), but really love the south part of Denver. Good luck with the move. I grew up there and live not far away. I would agree with the Louisville/Lafayette/Broomfield area. I personally grew up in Broomfield and because it's a little bit out of the city it's not quite as busy with easy access. congratulations- denver is an amazing city... if you want to live in the city- Wash Park and Park Hill are great neighborhoods to check out... there are so many great things, it is hard to narrow it down to just a few things! Congratulations! My husband we moved from Denver to the Northwest 5 years ago and although this has become our home, a part of my heart still belongs to Denver. We lived in the Hale/Crestmoor neighborhood which is really close to downtown(5min)and has lots of families, great schools and an awesome community. I grew up in Highlands Ranch which is nice if you love the suburbs (about 40 min south of downtown). Grandma still lives there and we visit at least once a year when the rain gets us down. Good Luck! Denver is where I grew up before my family moved to Oregon. When people ask me where I'm from I always hesitate – Oregon or Colorado? I love both equally. I grew up by Washington Park and favor the old bungalows and neighborhoods surrounding it. Coming from Oregon I have no doubt you'll feel right at home in the Mile High City. How exciting! Colorado is a beautiful place. You'll have to visit Garden of the Gods when you get a chance...it's amazing. i must admit i am a bit jealous...i miss Colorado! i lived in Littleton from 1984-1990..so it's been a while..but let's just say that it provided a great setting for a fun childhood! not sure if you're familiar with Gabrielle Blair - aka Design Mom - but she lives in the Denver area as well...hit up her blog and leave her a message, i'm sure she'd be happy to offer great advice on good neighborhoods, schools, dance classes, etc! also not sure how the neighborhood I grew up has changed over the last 20 years...but it was called "The Village of Four Lakes" -- in Littleton, of University and right before County Line Road. When I lived there, Highlands Ranch was JUST being developed, so I have no idea about that. I just remember gorgeous weather -- even in the winter...it would snow, and then be sunny so you could actually go out and enjoy the snow. I have so many fond memories of sledding for hours after school! Summers were great too, not too hot, and usually cooled off with a thunderstorm almost every afternoon. I miss that. Good luck to you and your family! I'll be following your blog to see where you end up! Very exciting that you're coming to Denver. You will love it! I live in Parker which is about 25 minutes southeast of Denver. Kind of a small town, horse oriented community. I could advise you better about locations if I knew where your husband will be working and how long a commute he can handle. Once I know that I would be able to comment on specific areas that might work for you. In the mean time, our website has a terrific home search engine that would help you see what homes are like in the different areas. Just go to www.BandyHomes.com . You can save searches and favorite properties, make notes, and get email alerts of new listings that match your criteria. Good luck on your preparations and I hope to hear from you soon. I realize this post is a little late but we are excited to have you come to Colorado! I honestly can't think of a better place to live. I grew up in Canada went to school in Idaho & Utah and have lived in Colorado 11 years. You get all the seasons - none of them too extreme, it's always sunny, lots of fun outdoor activities and people are so great here! I'm in Highlands Ranch and it is a great place to raise a family. I think you will love it here! PS I'm Shauna G's friend and I also have a Finn (he's 3). Sounds like maybe Highlands Ranch? Look forward to meeting you!